Hi All! We have a fantastic offer for cosmetic bonding to give you that smile makeover you are dreaming about but think the cost of teeth whitening is too much. You get a free teeth whitening (1 week course) treatment with every bonding procedure you book in the month of August. You must be thinking how much does teeth whitening cost. It’s only £175. If you have trays made in the past or have removable retainers just bring them in for us to check their fit. Lost them? not to worry? we’ll get new trays made for you. You must be dentally fit and have no cavities. A hygiene appointment will be advised if your gums are not healthy. This offer applies to minimum of bonding on 4 teeth. The cost of bonding is priced depending upon how much work is needed and will be discussed on your consultation appointment. 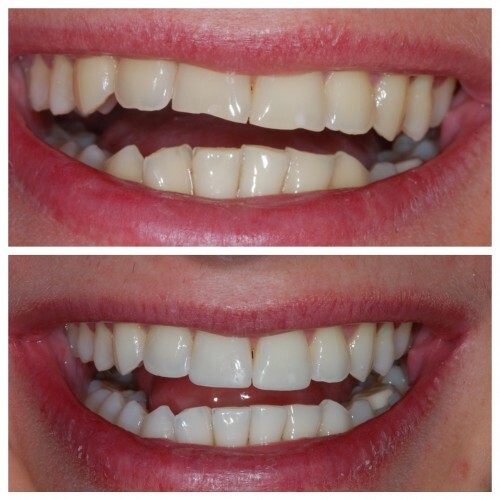 It starts at £125/tooth and could be up to £299/ tooth if severe discolouration/irregularities needs to be masked.